This is the best selling general workplace safety and safety induction video package in the world. SafetyVideoShop is a video production business based in Brisbane, on the east coast of Australia. Over the years we have made dozens of bespoke workplace safety videos for various clients from all walks of business including local government/councils, water authorities, building and construction contractors, steel manufacturing, wood and steel fabricator, agricultural producers, logistics chains and business services clients like recruiters and management consultants. It is with the culmination of this experience we made a heap of off-the-shelf products for sale. You can see this modest but sharp range for sale in the shop. Look carefully over the whole website and you will find a variety of free safety videos to download also. 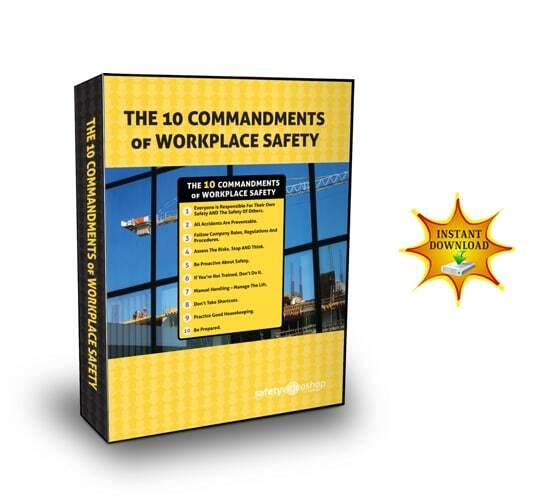 In our safety videos shop our cornerstone product is The 10 Commandments of Workplace Safety. It is one of the most simple, most comprehensive and most affordable workplace safety induction videos available to buy anywhere in the world. 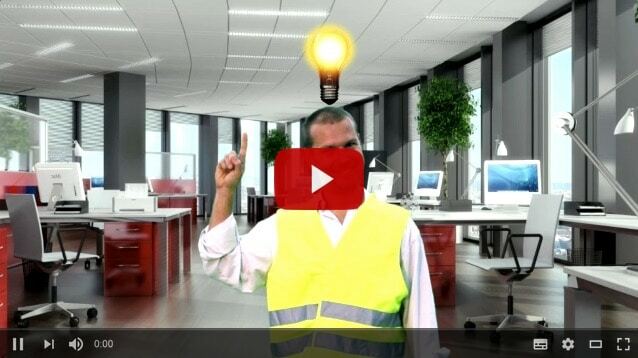 Not only used for inductions and on boarding, it is a great general safety training video too. 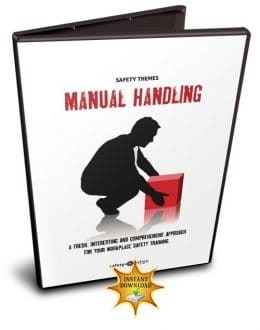 If it is a manual handling video you are looking for, we have a very simple and affordable offering for your training. 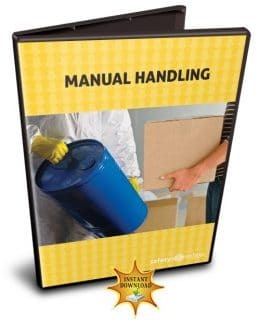 There is also a tongue-in-cheek toolbox talk manual handling video you may prefer. All of our safety training videos come not with the video itself, but with a heap of training aids that combine to make it an easy to present and comprehensive training package. Some of the inclusions are wall posters, attendance sheets, assessments, fire extinguisher guides, afety Powerpoint presentations and hazard identification checklists. Each package comes with a suggested agenda to run a full training programme. 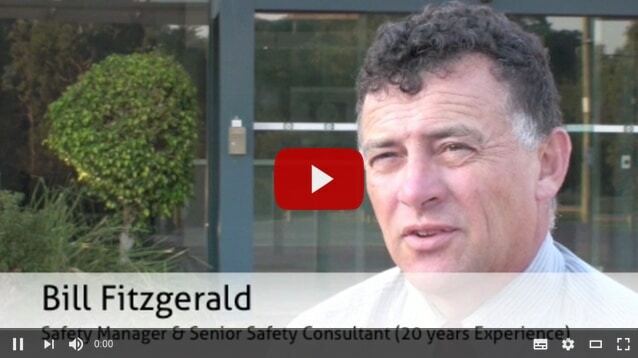 Our videos are used a lot for safety inductions of new staff. No video package will replace an on boarding programme completely, but armed with all the documentation our videos are accompanied with, you can go a long way. 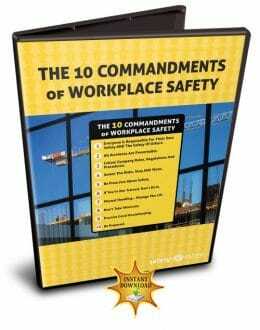 Take for example The 10 Commandments of Workplace Safety package. Along with the MP4 video, you get a template “safe method work statement” worksheet, a portable fire extinguisher guide, and assessment and answer sheet, an attendance record, a hazard checklist, a suggested training plan and a guided Powerpoint presentation. If you follow the training plan and agenda suggestions, you will get the best possible outcome from your training. You can use it as the basis of the safety induction – or break up the component parts and weave them into your general induction of new staff. All of our safety video downloads are suitable for annual refresher training. Just take 15 minutes of a scheduled training session, run a video and a quick Q&A, record the attendees for your safety audit compliance, and you are doing a good thing. Toolbox talks – also known as safety moments colloquially, are a good method for reinforcing your safety message. We have created a whole range of generic toolbox safety videos you can use to help deliver interesting training. 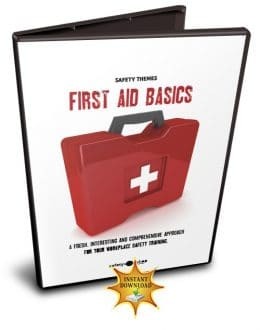 Topics include first aid basics, hazard identification, housekeeping, manual handling, machinery safety, forklift safety and a general safety video called “Return Home Safe Every Day” which echoes the mantra of many WorkSafe regulators worldwide. You may have heard of blended learning. Also known as hybrid learning. The general consensus amongst professional trainers – this is the best modern method for training adults. In the workplace and elsewhere. Blended learning combines a variety of training types including online delivery, on-the-job or in-classroom interaction and presentations by a qualified trainer to personalise learning. This allows for more thoughtful reflection. It can differentiate the learning instruction received by person to person in a group. Even though our business is producing and selling safety videos, we do not suggest you purchase a subscription to hundreds of videos and plonk your staff in front of them every week to get the value from it. Video is great - but in moderation and in line with a good blended learning strategy. Every week we edit and supply our safety videos for use in LMS - Learning Management Systems for streaming on intranets. Ask us how we can supply you full or edited parts of our programs to match your needs in this regard. Ready to download safety videos with ease? As much as we need to run a small business here and sell quality safety videos, we understand free safety videos go a long way to helping with simple ideas to run a training session. Or perhaps simply link to and distribute as regular on-topic safety reminders. We have compiled a large list of free safety videos you can download now without any requirement to register or login. Safety Videos OR Safety DVDs? The terminology of what is a safety video and what is a safety DVD has shifted over the years. Strictly speaking, a safety video is the visual content itself. A DVD, VHS cassette (god forbid these are still being used in business anywhere?!) and a CD-ROM are examples of the media the video is recorded on. Once upon a time, we specialised in making workplace safety videos on DVD. Over the years, the demand for DVDs has dropped so much, we don’t sell many. You can still navigate to the DVD section in the shop and order one to be shipped to you anywhere in the world, but because of the added expense of shipping and handling, the price is higher than the equivalent video version. The videos you get in each of our instantly downloadable packages contain an universally playable MP4 video file. You can use this to play with Windows Media Player on PCs, with Quicktime on Mac computers and nearly all TVs these days. If you have AV equipment – or even a simple AppleTV or Chromecast, you can project the videos to your TV. Most modern TVs will allow you to plug in a USB stick and you can play on the TV directly from that. For these reasons, safety DVDs just aren’t the way to go anymore! Toolbox talks – or safety moments depending on the terminology you prefer, are a great modern method to exposing your workers to small digestible snippets of a broader safety message. A good safety culture doesn’t come from one induction training session and a questionnaire. We have gone to great lengths to produce interesting toolbox talk topics which each contain a short eclectic video with a full package of ideas you can cherry pick from to craft the type of toolbox talk that most suits you. A safety Powerpoint presentation is included which encourages discussion on specific safety challenges your workplace has. 19 Primary duty of care: (1) A person conducting a business or undertaking must ensure, so far as is reasonably practicable, the health and safety of: (a) workers engaged, or caused to be engaged by the person, and (b) workers whose activities in carrying out work are influenced or directed by the person, while the workers are at work in the business or undertaking. (2) A person conducting a business or undertaking must ensure, so far as is reasonably practicable, that the health and safety of other persons is not put at risk from work carried out as part of the conduct of the business or undertaking. (3) A person conducting a business or undertaking must ensure, so far as is reasonably practicable, ... Make the provision of any information, training, instruction or supervision that is necessary to protect all persons from risks to their health and safety arising from work carried out as part of the conduct of the business or undertaking. Download Safety Videos - Pay Only Once - No Recurring Charges - Ever!